Gorgeous image. The Dutch name for the weeping willow is 'treurwilg'. Mourning willow. Terrific :) Brings back great memories of my childhood spent under willow trees! 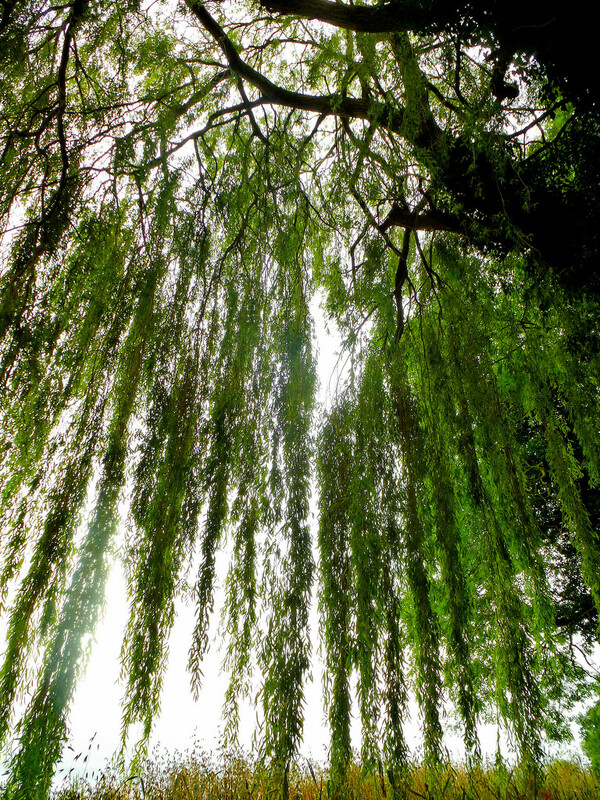 Weeping willows are such beautiful trees. This photo really shows off the lovely weeping limbs. What a perfect perspective! A fav. delightful capture I so like willow trees..
Makes a good hiding place, doesn't it? A grand specimen of the weeping willow! A great pov. and composition on this beautiful weeping willow capture.